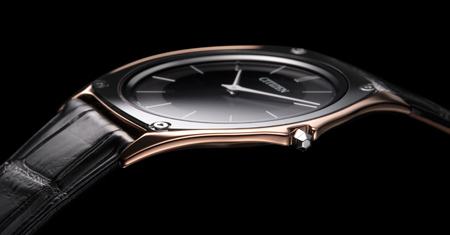 The thinnest light-driven watch in the world with a movement of 1.00 mm. Eco-Drive One embodies our philosophy of “Better Starts Now”—the simple belief that it is always possible to make something better, and that now is the time to start doing it. Throughout our history, we have sought to make watches that people everywhere will relate to and love. 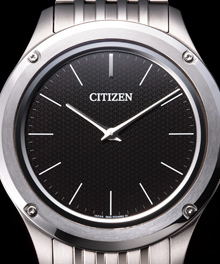 Expressing the values of Eco-Drive with maximum simplicity just reflects what CITIZEN has always been about. A thin and elegant watch that feels fantastic on the wrist, Eco-Drive One is a unique timepiece created to mark a major milestone: 40 years of Eco-Drive. 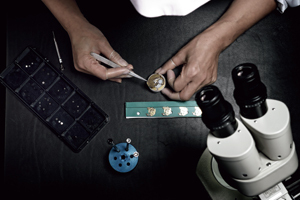 Developing Eco-Drive One was a journey into the world of microns. 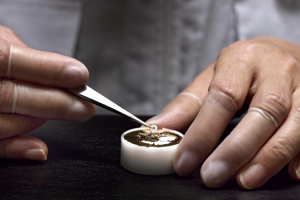 Just 1.00 mm thick, the movement contains 85 components, packed together with cell-like intricacy. We used techniques like getting single components to perform dual functions and rebuilding the rotor and coil from scratch to turn conventional watchmaking on its head and create something revolutionary. 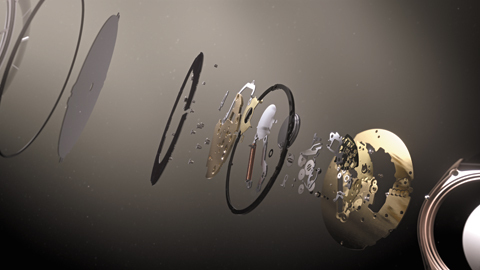 The name Eco-Drive One comes from the movement being just 1.00 mm thick. 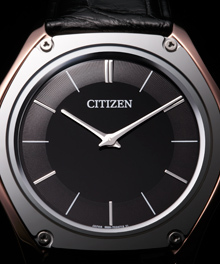 Just one millimetre, it’s still jam-packed with all CITIZEN’s ingenuity and passion. 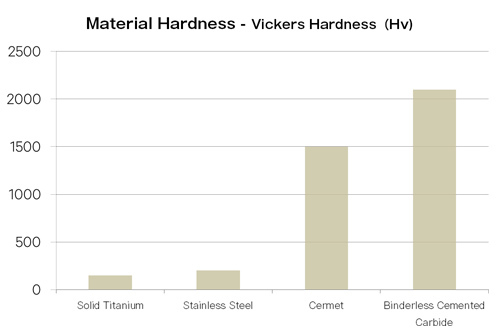 Unconventional materials for thin. The thinner a watch gets, the more beautiful it becomes. The only problem is: Will it be strong enough? 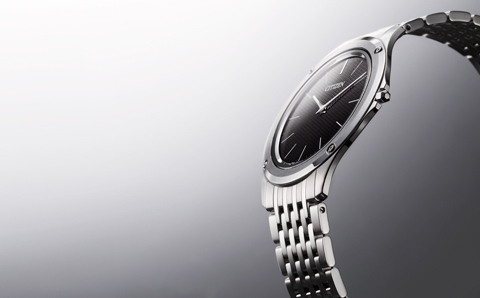 The Eco-Drive One models use new materials that offer both thinness and strength. The Eco-Drive One uses just 150 microns thickness of sapphire crystal for its dial, as a material capable of sustaining its thinness as well as its beauty. 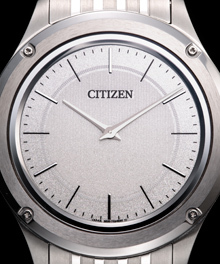 85 components are assembled by the hands of CITIZEN master craftsmen to form 1.00mm thick movement, and a ultra-thin and elegant Eco-Drive watch with 2.98mm case is realized by their skilled technique. 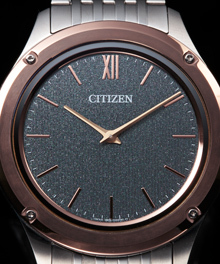 CITIZEN’s devotion to craftsmanship is evident in the way that nearly every single component, from the gears on up, and even watch assembly process were specially made for this model.